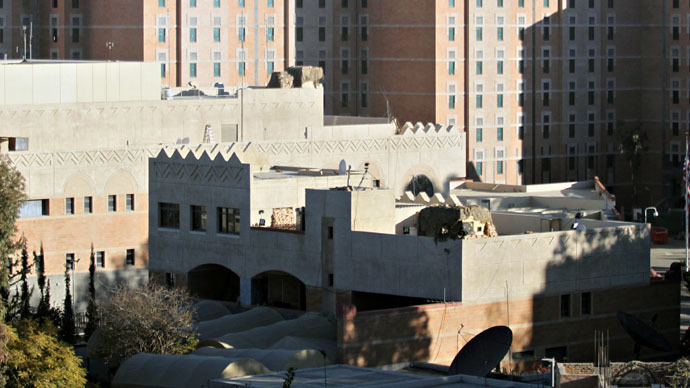 The US embassy in Yemen will reportedly be closed due to the deteriorating security situation in the country. Yemini staff at the US embassy in Sana’a have told Reuters they had been told by the ambassador the mission would be shuttered within 24 hours. The embassies of Turkey and Algeria will reportedly be asked to look after US interests in the country during the embassy closure. A US official, speaking on condition of anonymity later confirmed that the embassy would be closed. The official said the ambassador would leave on Wednesday, though he did not provide a date for the closure of the mission. Officials also told AP on condition of anonymity that diplomats were currently being evacuated from the country. Marines providing security at the mission are also likely leave, the officials said. American forces carrying out counterterrorism missions in other parts of the country, however, will not be affected by the evacuation order. The move is reportedly sparked by the recent coup by Houthi fighters, a Zaidi Shia group allegedly backed by Iran. On Sunday, the embassy suspended all consular services due to the security situation in the country. The Houthis first seized control of Sanaa in September following a decade-long insurgency. On January 20, Houthi rebels took control of the presidential palace in the capital, with deposed President Abd Rabbuh Mansur Hadi inside. On Friday, they announced they had officially taken control of the Yemini government, dissolved parliament, and declared its Revolutionary Committee to be at the helm of the country. UN-brokered peace talks between rival factions in the country hit a snag just days after the coup. On Monday, Islah, a large opposition party, and the smaller Nasserist Unionist People's Organization, walked out on the talks, sparking fears that the country could descend into all-out civil war.